I am pretty sure that I had read all or nearly all of these stories before, but as someone who loves good fiction I like to return to the stories of Anton Chekhov from time to time. Besides these are all new translations of the stories by Nicolas Pasternak Slater. Slater does a fine job of capturing the poignancy in each of these stories. All of these stories are beautiful and affecting; they are from Anton Chekhov after all. I would like to concentrate on one story, ‘About Love’, in particular which moved me greatly. It is about a guy who is ‘adopted’ by a husband and wife to be their very good friend. It is this guy who has been adopted who is telling the story. First there is a sentence which frames the story. So the husband and wife invite this guy into their house as a good friend to both of them, but soon the wife realizes there is a strong bond and attraction between her and this male friend, and the male friend realizes it too. But neither wants to hurt her husband. Circumstances bring them together frequently, and they both realize that they were meant for each other. That over the years they never go beyond just being great platonic friends makes the story even more moving. Finally the husband and wife move away. Some might claim that not much happens in this story, but that they restrain themselves for the sake of not hurting the husband despite their strong feelings for each other only makes the story more intense. Chekhov frequently uses a device that seems almost a natural one for telling a story. Two friends are discussing a mutual acquaintance. This seems like the perfect way to get introduced to the traits, peculiarities, and foibles of a character. We all have strong opinions about our friends. 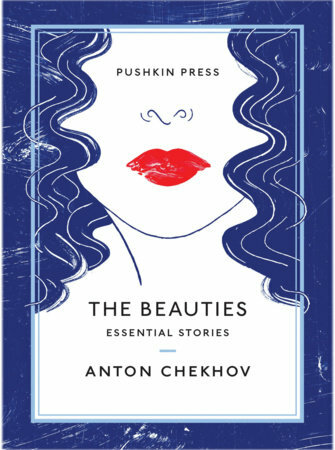 This is a strong starter collection because the stories for which Chekhov is famous are here. Chekhov captures the essence of each of his characters, and the stories are always true to his characters. The stories are compassionate, warm, understanding, and kindly. In other words they are just the opposite of the writing of Georges Simenon except for the understanding part. I want to end with two quotes about Chekhov and his art. Yes, this is a well-done collection of Chekhov’s most famous stories. After that, if you want to read more stories there are a lot of them since he wrote many. He also wrote four major plays which are more difficult to fully appreciate but all are famous and staged frequently even today. 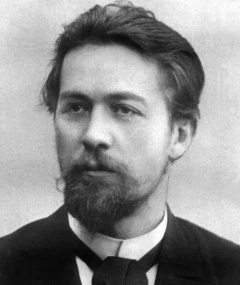 I do keep meaning to return to Chekhov, because I feel somehow I never “get” him. And your retelling of the plot of “About Love” reminds me a bit of Nikolai Chernyshevsky’s “What Is to Be Done?” But there the radical husband and wife agree the woman should pursue her own love. No wonder Chernyshevsky infuriated everybody! Nikolai Chernyshevsky. That’s a new name for me. I probably would be interested in a radical who wrote about people’s personal lives instead of politics. Sometimes I don’t “get” Chekhov’s plays, but I always “get” his stories.